All sides face into 1916 hoping that it will see a victorious end to this terrible war. The last year has generally been a good one for the Central Powers and a bad one for the Allies. Germany has successfully parried British and French attacks on the Western Front. In the East the Germans have inflicted crushing defeats on the Russians, driving them out of Poland, possibly forever. As well as recovering its territories lost to Russia in 1914, the Austro-Hungarians have finally seen Serbia over-run and devastated, a somewhat extreme punishment for the assassination of Archduke Franz Ferdinand. It must rankle with the Austro-Hungarians however that these victories have been won thanks to assistance from the Germans. Turkey had a bad start to 1915, suffering a catastrophic defeat at the Battle of Sarikamish in the Caucasus.Their focus on the Eastern Front meant that the Russians were unable to exploit the victory but it nevertheless triggered a genocidal rage against Anatolia’s Armenians by the Turkish authorities; the Armenians are seen by the Turkish leadership as disloyal to the Ottoman Empire. A Turkish attempt to invade Egypt was also singularly unsuccessful. Turkey’s situation improved since then. The Turks faced the main efforts of the British Empire at Gallipoli and they won, albeit at terrible cost. They have also repulsed a British drive on Baghdad and now have a British army under siege at Kut-al-Amara. Yet there are some clouds on the horizon for the Central Powers. Their enemies dwarf them in terms of population and economic power; if the war continues indefinitely they will surely be swamped. Thanks to Britain’s naval blockade Germany and Austria-Hungary are increasingly suffering from shortages of food and other commodities (indeed, riots in Austria-Hungary have just forced a reduction in the price of bread). The Central Powers need the war brought to an end soon. Germany’s Falkenhayn is planning an offensive to knock France out of the war and thereby force Britain to accept peace. Austria-Hungary’s Conrad is separately planning an offensive to eliminate Italy. The Allies also want to secure victory this year. They have decided to launch simultaneous summer offensives on all fronts to overwhelm the enemy. For Britain and France, the main effort will be on the Western Front, most likely at the junction of their armies in the Somme river valley. With both sides planning great offensives, it is most likely that 1916 will see bloodshed on a previously unimagined scale. Only time can tell whether it will also see the war’s end. Evacuations from Gallipoli. The Siege of Kut begins. Plans for next year. Earlier this month Allied military leaders met at Chantilly to work out a common strategy for the coming year. They agreed simultaneous offensives next summer in the hope of overwhelming Germany and Austria-Hungary. But what of their enemies? Germany and Austria-Hungary are now developing their own plans for next year but due to a breakdown in communication between Falkenhayn & Conrad, the two countries’ army commanders, they are preparing strategies in isolation. Conrad is planning a counter-offensive against the Italians, which he hopes will knock them out of the war. Falkenhayn is planning an assault on the French. He has outlined his thinking in a memorandum to the Kaiser. He sees Britain as Germany’s main enemy in the war; indeed, he sees the war as resulting from a plot by the British to destroy Germany. The war will only end when the British realise that they cannot defeat Germany. But how to make them realise this? British naval superiority means that Britain itself cannot be directly attacked. Falkenhayn also argues against attacking British forces on the Western Front, as the terrain in the positions they defend is unsuitable (he may be remembering his unsuccessful assaults on the British at the Battle of Ypres). As far as Falkenhayn is concerned, the way to defeat Britain is to knock her allies out of the war; they are the tools of Britain’s anti-German policy. Falkenhayn considers an attack on the Italians to be a waste of time, as they are too marginal to the Allied war effort. Russia is vulnerable but the lesson of this year is that she always has space to retreat into and can always find more men to replace those lost in battles. In any case, he predicts that Russia’s internal problems could soon force her out of the war without further German military action. That leaves France, described by Falkenhayn as “England’s best sword”. He proposes an offensive against France that will knock her out of the war, not by the kind of Napoleonic war of manoeuvre attempted in 1914 but by inflicting unsustainable casualties. He proposes to attack a prestige target that the French will throw in every man to defend; superior German artillery can then be brought to bear so that, in Falkenhayn’s words, “the forces of France will bleed to death”. With the French defeated, the British will hopefully realise that they cannot defeat Germany and agree to peace. Falkenhayn proposes the fortified town of Verdun as the target for his offensive. The Kaiser agrees. The local commander of the offensive will the Kaiser’s son, the Crown Prince Wilhelm of Prussia, guided by his chief of staff, General Schmidt von Knobelsdorf (unlike the Crown Prince, Knobelsdorf is a professional soldier). Detailed planning begins, but under the greatest secrecy as the element of surprise is to be maximised. The assault will begin in mid February. Note: I particularly recommend the Mental Floss article Invitation to the Devil – Verdun by Erik Sass as a further guide to the analysis by Falkenhayn that led to his targeting of Verdun in his offensive. Austro-Hungarian ships have sailed out to attack the Italian-occupied port of Durazzo in Albania. However they managed to sail into a minefield and now they are slowly making their way back northwards, towing the stricken Triglav. They hope to return to base before being caught by pursuing ships of the British, French and Italian navies. French ships are the first to catch up with the Austro-Hungarians. The Triglav is abandoned to its fate and scuttled. British ships engage the others at long range but the Austro-Hungarians manage to make it to safety, though not without suffering damage. The Austro-Hungarians have learned the hard way that they run great risks when they send their ships out into the Adriatic. The Serbian army has retreated into Albania to escape destruction at the hands of the German, Bulgarian and Austro-Hungarian invaders of their country. Many of the Serbian soldiers and the civilians fleeing with them have died crossing the Albanian mountains, mostly from exposure and the effects of hunger but some at the hands of Albanian raiders; many Albanians are less than pleased at the Serbs bringing the war into their country. The Serbs are making their way to the coast, where they hope to be brought to safety by Allied ships. To interfere with this evacuation an Austro-Hungarian naval force headed by the Helgoland sails down into the Adriatic to attack the Albanian port of Durazzo, now under Italian occupation (and renamed from the Albanian Durrës). On their way they spot and sink a French submarine. Then they bombard Durazzo and sunk some Greek ships that may have been planning to assist the Serbs. Then their luck runs out as they blunder into a minefield. One Austro-Hungarian ships is sunk, another, the Triglav severely damaged. The Austro-Hungarians now decide that discretion is the better part of valour and begin to retreat back to base, towing the crippled Triglav. But there is danger ahead for the slow-moving flotilla. British, French and Italian ships are converging, intent on destroying the Austro-Hungarian squadron. They race northwards hoping to catch the enemy ships before they reach safety. The British have secretly transported the Mimi and Toutou, two motorboats, to Lake Tanganyika, on the border of German East Africa. The hope is that the two gunboats will put a stop to the free rein that German boats have been enjoying on the lake. After their recent launch on the lake today the Mimi and Toutou have their baptism of fire. Geoffrey Spicer-Simpson, the British naval commander on Lake Tanganyika, is leading Sunday prayers when German gunboat the Kingani is spotted patrolling in the area. The Mimi and Toutou rush out to do battle with the surprised enemy. The action is short. After only 11 minutes the commander of the Kingani and several senior officers have been killed. The survivors haul down their colours and surrender. Spicer-Simpson is pleased with the results of the first engagement between his boats and the Germans. He sets his men to repairing the Kingani, ready to bring it into action as another boat for the small British flotilla. It is given a new name: HMS Fifi. Abdulaziz ibn Saud is the emir of Nejd, a territory on the eastern side of the Arabian peninsula. Much of his power derives from his family’s long alliance with followers of Wahhabism, a particularly austere Islamic sect. Today Ibn Saud meets with representatives of the British government on the Persian Gulf island of Darin. He signs a treaty agreeing to accept the protection of the British and their support in his ongoing struggle with the Rashidi family. The Rashidi have accepted the suzereinty of the Ottoman Empire. 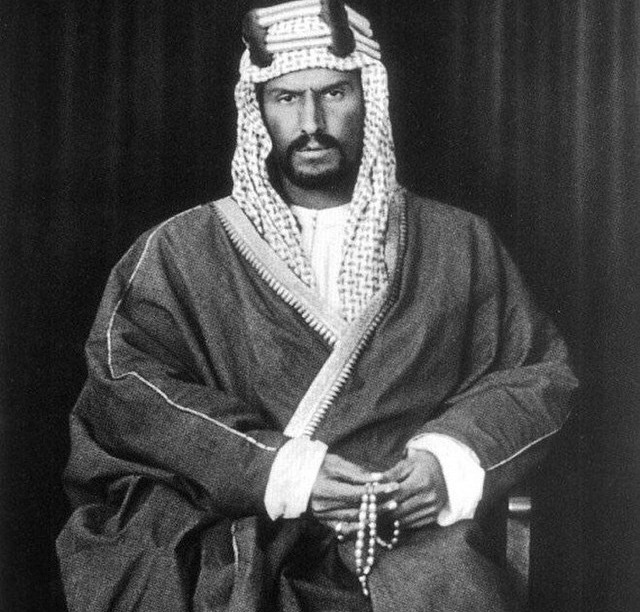 Ibn Saud hopes that the support of his British friends will even the odds against his enemies. British goals in the treaty are as much to contain Ibn Saud’s ambitions as to send him to war against Turkish clients. The treaty obliges Ibn Saud to respect the independence of Britain’s other Arab allies: Qatar, Kuwait and the Trucial Coast emirates. Britain may however be drifting into mutually incompatible obligations in the Middle East. British officials are also in discussions with Sharif Hussein bin Ali, ruler of the Hejaz (the western Arabian region in which Mecca and Medina lie). The British want Hussein to lead an Arab revolt against the Turks that will set the Middle East alight, implicitly offering to make him the ruler of a vast state stretching from Syria to the Hejaz. Britain’s treaty with Ibn Saud does not oblige him to leave the Hejaz alone. This could be an unfortunate oversight, given Ibn Saud’s ambition to dominate the entire Arabian peninsula.